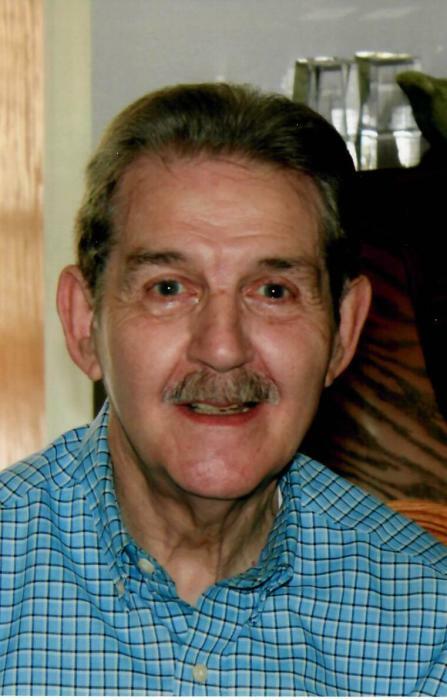 Gilbert “Gib” Elwood Davis of Clear Ridge Road, Everett, PA; went home to be with the Lord on Saturday, October 20, 2018 at Conemaugh Memorial Medical Center in Johnstown, PA. He’s now walking the streets of Heaven! He was born in Hollsopple, PA; the son of the late Edmund Glen Davis and Edna Beatrice (Weimer) Davis. He is survived by the love of his life, his wife of almost thirty-four years, Cindy (Calhoun) Davis; his children Diana Lee Al-Megdad and husband Mohammed of Mechanicsburg, PA, Brenda Lee Harclerode and Husband William of Bedford, PA, Paul Dixon Kuty and wife Rosa of Newtown, PA, Gilbert Edmund Davis of Bedford, PA and Linda Lee Turner of Bedford, PA and her friend Tim Buckley; mother-in-law Alma Calhoun; ex-wife Mary Ann Gore Davis; grandchildren Michael Al-Megdad, David Harclerode, Sheri Hypes, Jamie Glunt, Colleen Rockafellow, Chris Kuty, Sean Kuty and Branden Davis; thirteen great-grandchildren; sisters Delores Meyers of Hollsopple, PA and Hedy Shaffer of Windber, PA. He was preceded in death by a brother Paul Alfred Davis, an infant granddaughter Sarah Marie Megdad, brothers-in-law Don Shaffer and Gary Meyers and son-in-law Jeffery Turner. Gib graduated from Conemaugh Township High School where he excelled at football and wrestling. As a freshman at the University of Pennsylvania, he was a member of their undefeated football team and also was undefeated in wresting. He played lineback and fullback at Susquehanna University on an undefeated football team under the legendary coach, Amos Alonzo Stagg. Gib served in the U.S. Navy as a press person in the curiser destroyer force Pacific Fleet attached to the fleet admiral staff where he earned several awards including the American Spirit Award. Gib was employed as news bureau manager for The Johnstown Tribune Democrat, a teacher and wresting coach at Windber High School, a teacher and guidance counselor at Johnstown High School, coordinator for region H for Bedford, Somerset, Cambria and Blair County prior to the beginning of IU 8, psychologist and director of special education for Bedford and Fulton County, IU 8 coordinator, supervisor and psychologist, and after retirement he had a private practice for ten years. Gib was a member of Bethel United Methodist Church at Hollsopple and attended Mt. Union Christian Church at Mench for the past twenty-four years. Gib enjoyed singing solos at church and working out at Summit Quest Gym. He loved his children, grandchildren and great-grandchildren and all his cats from Tom to Buck. He will be greatly missed by all those who knew him. Friends and Family will be received on Tuesday, October 23, 2018 at the Akers Funeral Home, Inc., 299 Raystown Road, Everett from 4-8 P.M. and on Wednesday from 10:00 A.M. until the hour of service at the funeral home. Funeral Service will be held on Wednesday, October 24, 2018 at 11:00 A.M. in the Chapel at Akers Funeral Home with Pastor Gary Koontz officiating. Burial will be held at Mt. Union Cemetery with full military honors by the Everett Honor Guard. If friends so desire memorial contributions may be made in memory of Mr. Davis to Love In The Name of Christ of Bedford County, 80 State Street, Everett, PA 15537.